As the sun comes up, you jump out of bed and gather your fishing tackle. A thermos of coffee in one hand and your rod in the other; you head to the water. What every fisherman longs for is to feel the tug on your line. At just the right time you set the hook hoping for some fight out of the fish. There it is! You begin the familiar rhythm of pointing the tip of your rod to the water and reeling in as you lift the tip up. You do this over and over until you see your catch in sight. A scoop of your net and dinner is almost on the table. This could describe a number of fishing experiences, but we are talking about how to catch redfish. A redfish is a saltwater fish. It is named for its orange-red coloring. They are a good eating fish and have found their way onto the tables in many restaurants and homes across America. There are four different species of redfish in the US: Red Snapper, Red Drum, Rose Fish, and Acadian Redfish. These fish can be caught from the tip of Texas north on the Atlantic side toward Massachusetts. 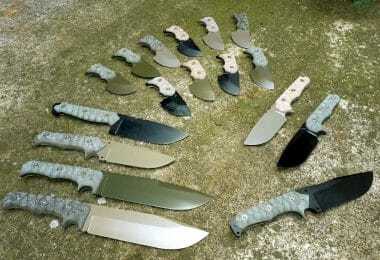 Let’s take a closer look at each one. Red Snapper: Oh, So Dapper! These fish are known as the “signature fish of the Gulf of Mexico”. They are sought after by recreational fishermen and restaurants alike. 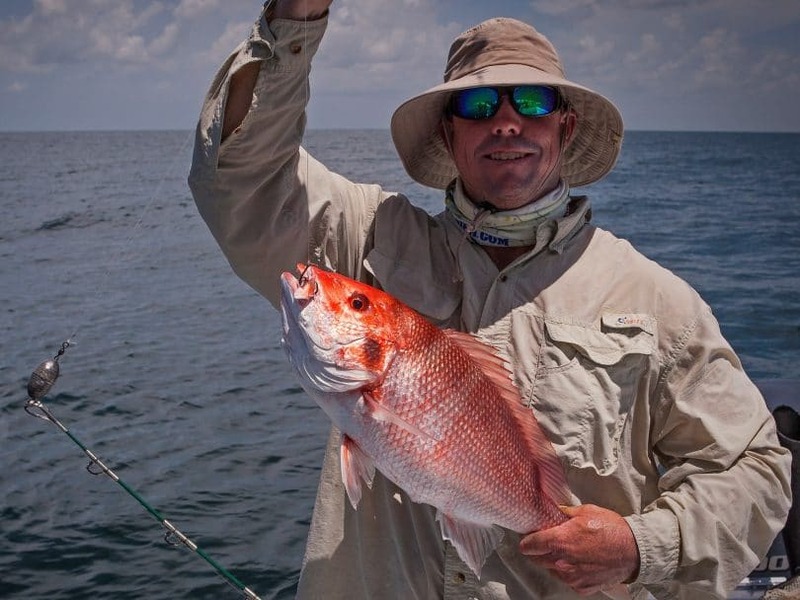 The record weight of a red snapper is 85 lbs. So this can be a sizable fish. They are found in reef habitats. They have red skin, red eyes and large teeth (thus the snapper moniker). They have an excellent flavor conducive to a variety of spice choices; lean, moist, and firm texture. Grilled, baked, steamed, broiled, poached and sautéed, this fish is versatile to cook. Because of its popularity, this fish it was over-harvested. Currently, a science-based plan and fish management are in place. Populations are now growing so seasons have lengthened. Daily limits are still in place, state by state. This fish is a finicky eater, so you will have to narrow your bait and lure selection for this fish. Red Drum: Not Ho Hum! Predominantly found in the Gulf of Mexico and up around the Florida coast, the red drum gets their name from the drumming sound they make during spawning. They can be identified by their reddish brown backs and an “eyespot” on their tails. This fish has a mild flavor, with firm flesh and large flakes. They are perfect for the grill, baking or broiling.This fish was also overfished as it was popular in restaurants and seafood markets. Fish management techniques have proved successful in that populations are returning. 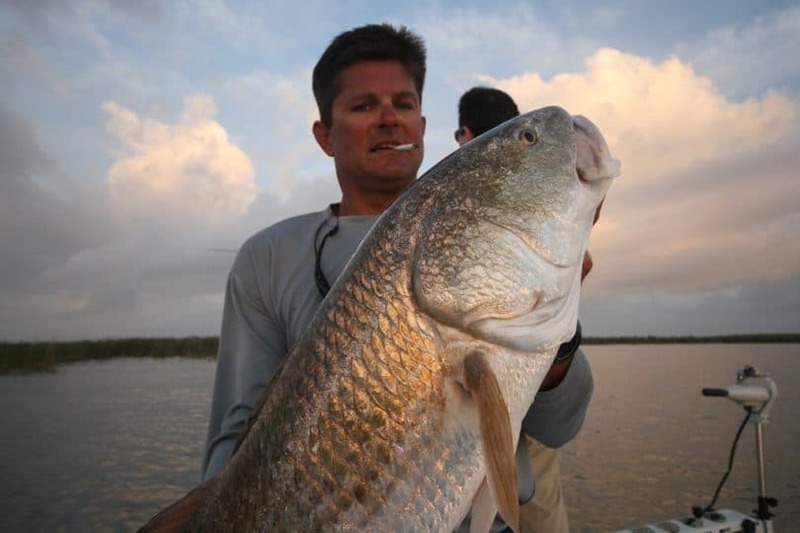 Red drum fish go after a variety of different bait including crabs, shrimp, soft jigs and gold spoons. 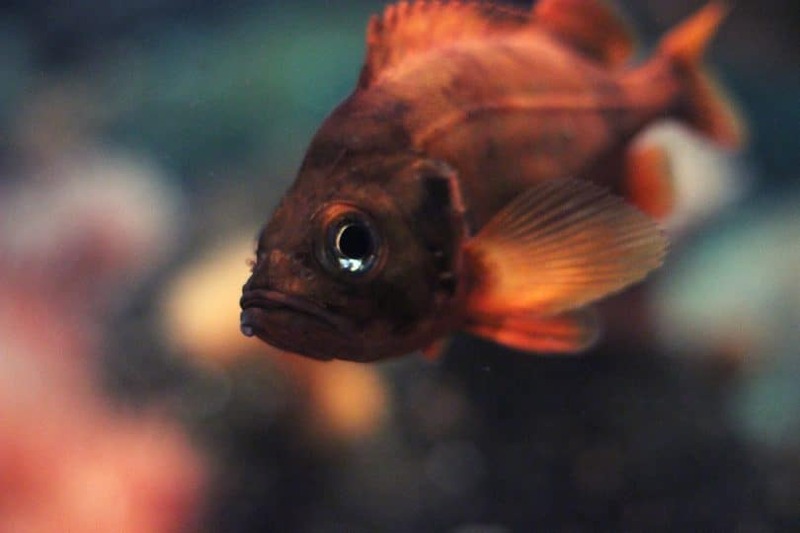 The rosefish is found mostly in the Northern Atlantic including the Eastern US and Europe; they prefer deeper waters. Young fish are a light brownish red while mature fish are bright red. They have large eyes.This fish is sold in fillets and is almost always frozen. Unfortunately, this fish has been overfished to the point that it is listed on the Greenpeace seafood red list and the World Wide Fund for Nature list of species to avoid because of overharvesting. If approved by the Marine Stewardship Council (MSC), a fish can be harvested. 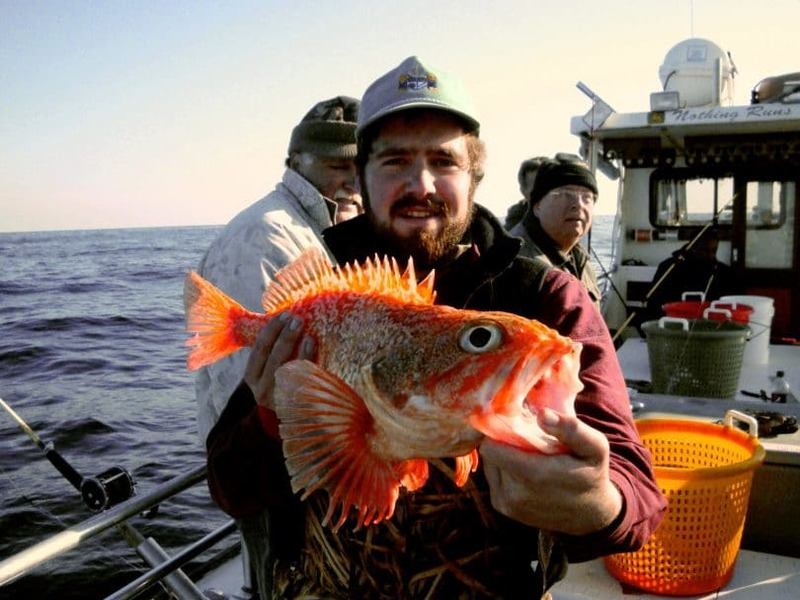 As of November 2018, the MSC has not approved the fishing of rosefish. Because of the status of this fish, we will not discuss fishing techniques in this article. The Acadian Redfish, also known as the Ocean Perch, enjoys the Northern Atlantic waters from Virginia to Iceland and Greenland. They prefer the seabed with clay silt or rocky bottoms. This is a smaller fish, weighing up to about 3 lbs. 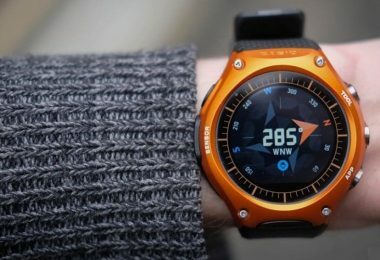 It is reddish orange in color. The flesh is delicate in that it can spoil quickly. The meat has a sweet flavor with white, flaky texture. It can be used in stews and other dishes such as tacos. It can also be served whole and is becoming popular in high-end restaurants. The Redfish was on the endangered species list until 2012 when it was considered to have been restored and is now open for fishing again. There are some terms that should be discussed so you can identify your fish and also know what sort of tackle and techniques are used. Most fish have the same basic parts. Here is a figure to help you identify a typical saltwater fish. There are specific details below on each of the species. Since some of these fish have strict regulations you will want to be sure to identify the fish properly. The dorsal fins that run down the back will vary with the species. Red Snapper has a continuous dorsal fin that starts out very spiny and then softens as it gets toward the tail. All about the same length. Red Drum has a dorsal fin with two sections as in drawing below; a defined spiny section followed by softer rays. Rose Fish has dorsal fin with large spiny rays followed by taller soft rays. Acadian Redfish has a dorsal fin similar to the drawing with two distinct sections. The caudal or tail fin also has some differences in each species of redfish. Red Snapper has a curved caudal fin rather than a V.
Red Drum also has a curved caudal fin. Its distinct feature is a large eyespot right where the caudal fin begins. Rose Fish caudal fin is fairly flat at the end. It can have a small indentation. Acadian Redfish caudal fin has a distinct V in the tail as shown above. Red Snapper has pectoral fins that taper to a point. Red Drum has pectoral fins that are narrow at the base and fan out. Rose Fish has pectorals that fan out and are curved at the end. Acadian Redfish has a large square shaped pectoral fin. 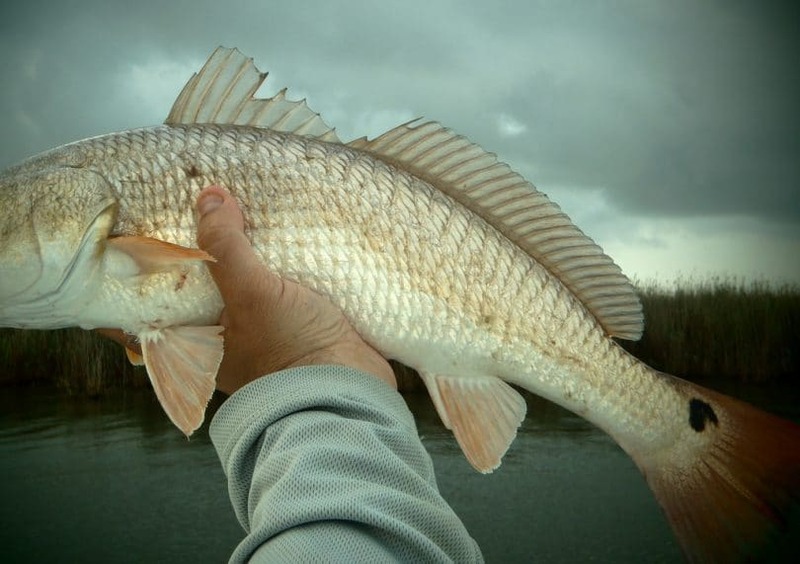 With each of these types of redfish, you can use live bait, dead bait, lures, and jigs. You can fish from a boat, either anchored or drifting. Or, you can fish from a pier or breakwater where redfish are known to swim. 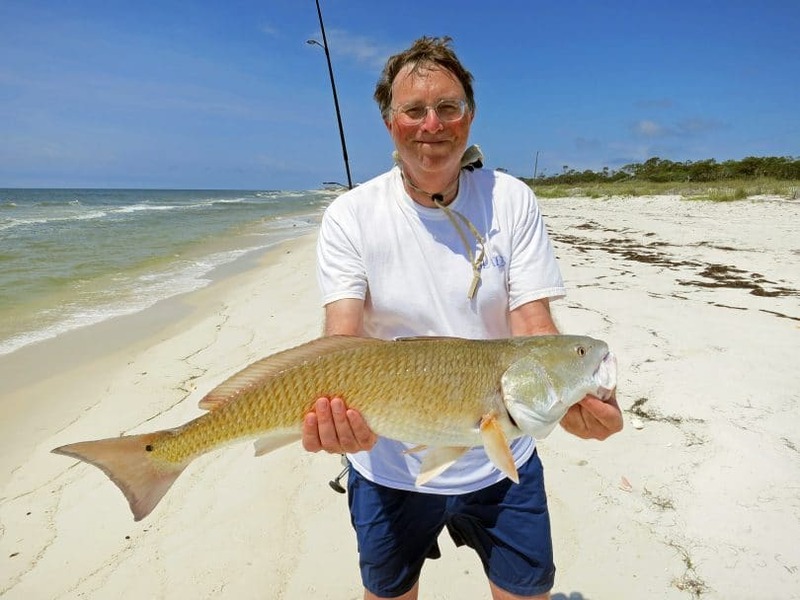 In the case of Red Drum, you can wade into the shallow grassy areas and fish. Live Bait vs. Dead Bait: Which Will be the Winner? Live bait is a living small fish such as a sardine, cigar minnows, and other similar small fish that may be available in your area. Redfish also love crustacean and shrimp. If you use these be aware of regulations concerning this type of bait. Dead bait is typically cut fish, squid, shrimp or eel. 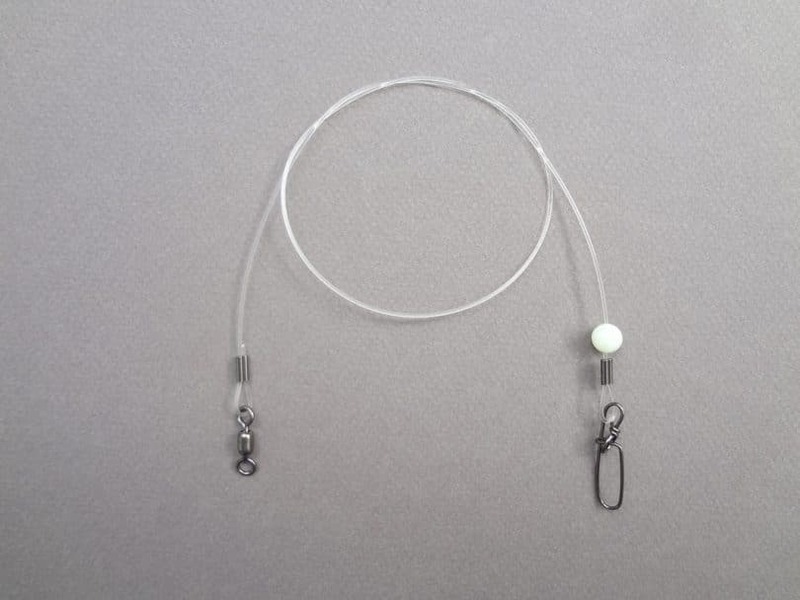 All are attached to a circle hook of varying size depending on where and what you are fishing. A leader is a section of line that has your bait on one end and the sinker weight tied to your line on the other end. Always use fluorocarbon leaders; 20-50 lb. test in the shallows and 80-100 lb. test in deeper waters. 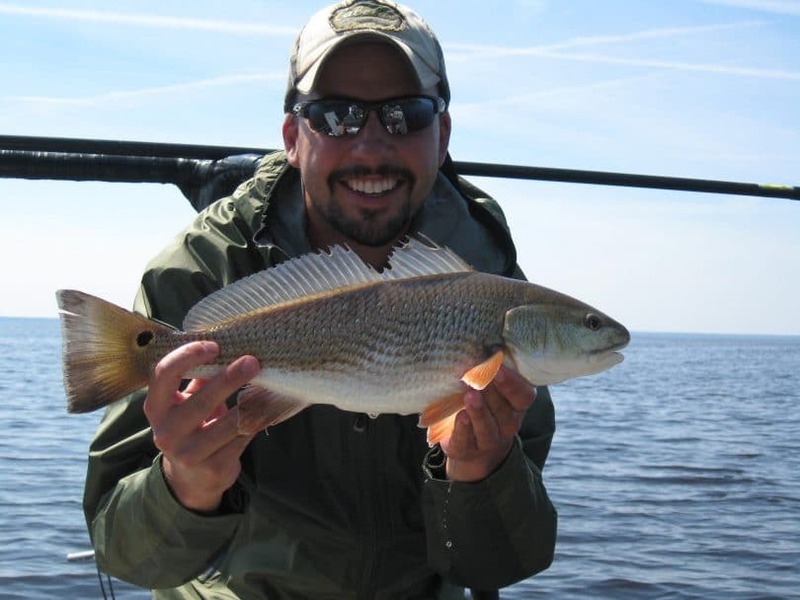 Redfish have excellent eyesight; fluorocarbon is invisible in water. It needs to be heavy because the fish have teeth and there will also be abrasion from the sea floor. 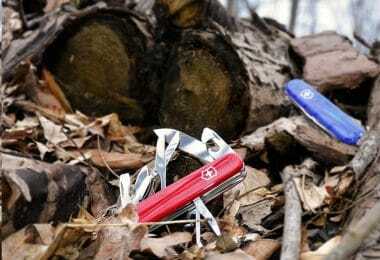 Lures come in a variety of setups, colors, with spinners, gold, silver, and other configurations. Redfish like gold spoons. They can have treble hooks or single hooks. There can be plastic minnows, rubber worms, or hair skirts that cover the hook. Every angler has the lure that they swear by. But for beginners you need to follow the advice of experts until you find the thing that works for you. Drifting vs. Anchoring: Anchors Aweigh! Drifting is allowing your boat to float with the current unanchored. Anchoring is dropping the anchor of the boat so it is relatively still in one spot. Still fishing: Probably the easiest type of fishing, it is basically putting your bait in the water and waiting for the fish to bite. This is the type most of us did as kids with worms on our hooks and bobbers on the line waiting for that crappie to bite. With redfish you need to get the bait to the bottom, so you employ the use of a sinker or weight. Your bait will be at the end of a 4 ft. – 6 ft. long leader. It works the best with live bait so it will swim around and attract the redfish. Casting: This system involves a rod, reel, and line with a lure on the end of the line. It is a technique that needs practicing. The purpose of casting is to land your lure at just the right spot to coax the target fish into striking your bait. You can cast overhead or sidearm if you have room. Overhead is probably more common. After you cast, reel it in giving the bait a swimming motion that hopefully will attract your fish. Repeat and later eat! Jigging: From a boat, either anchored or drifting, attach your weighted lure to your line and throw overboard. The lure will weigh a few ounces and the sinker weight will depend on the currents or drifting speed. Use a heavier weight if the current is stronger. When you feel the weight hit the bottom, reel it in about 1½ turns so the weight and line will not get snagged on any seafloor obstruction. 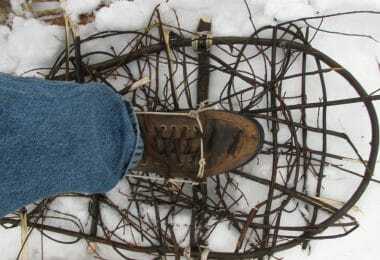 Now begin the jigging motion which is to raise and lower the tip of your pole every ten seconds. This will move your bait through the water and hopefully, attract your target fish. Drifting: This is a technique that uses the current. So in the ocean, your boat would be drifting with the current and you employ the drift technique which is a similar setup to jigging in that your sinker is about 4 to 6 feet from the bait. The bait is at the end of the long leader. The weight is heavy enough to keep it at the bottom but light enough to bounce along with the current letting the bait trail behind. Chumming: This is throwing some bait or chum into the water to entice the target fish up off the bottom. Chum is cut up fish, fish parts, guts, blood, etc. Once the chum is in, you can fish with live bait hoping it looks like the chum and will encourage a strike on your bait. 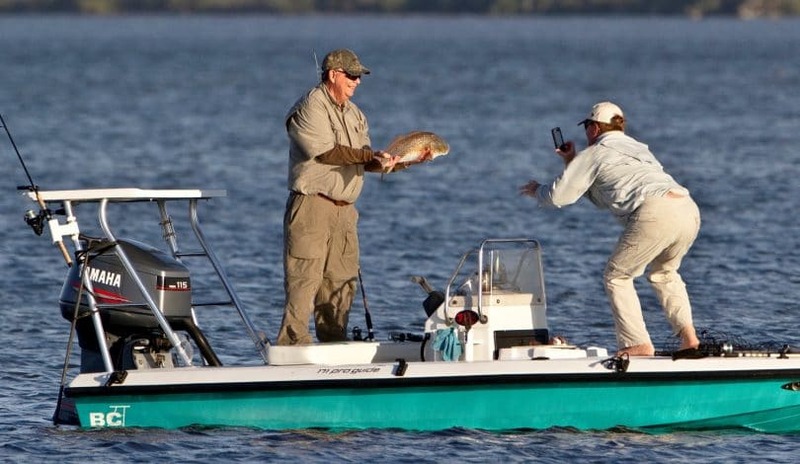 Redfish Fishing Tips: Let’s Go Fishing! Red Snapper: It’s What’s for Dinner! The Red Snapper prefers reef environments in waters 30 ft. to 200 ft. deep. A typical catch weighs in at about 10-20 lbs. They will hit on almost anything but they prefer smaller fish and crustaceans. Natural bait is preferred over artificial as they rely on eyesight and smell for feeding. Live bait is very effective. Live bait should be hooked through the eye socket on a 4/0 hook up to an 8/0 hook if in deeper waters. Dead bait such as squid, shrimp and eel are also productive. Dead bait should be hooked onto a glow-in-the-dark luminous jigging lure. Vertical jigs that mimic real bait work very well. See also our reviews of the best fishing rods to hang your lures. 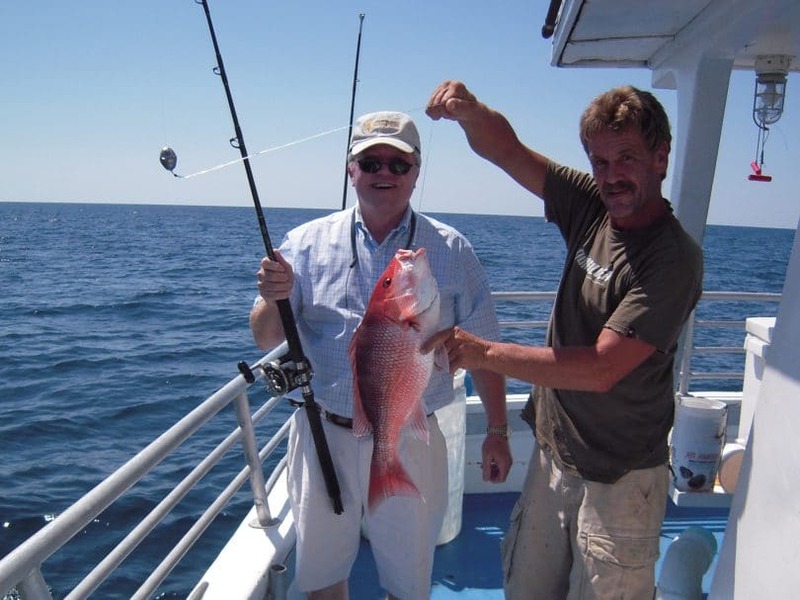 There are several fishing systems used for Red Snapper: still fishing, casting, jigging and drifting. You can use a jigging method while anchored or drifting. Jigging from a boat is a great proven method. You will need heavy rods about 6 ft. to 7 ft. with strong backbones and fast action to feel the bite. Lines of 50-100 lb. test in deep water is best. A medium to heavy spinning reel with a fast gear ratio works best. Once your fish is on you want to get it in the boat before a bigger predator takes it from you. Once you get a fish on be ready for a strong fight with some head shaking tactics. This fish is fun to bring in. Red drum fish like a shallow habitat of grassy flats. Fishing when the tide is coming in is best because it brings with it food – bait fish, shrimp, and crabs. Red drum fish are spooked easily so you must approach very quietly and stealthily. With the outgoing tide, you can find red drum in deeper channels following the bait fish out with the tide. Of course, natural bait is preferred over artificial, but red drum fish are partial to gold spoons. A couple of fishing systems can be used with red drum. The simplest is freeline setup. This is a line with a circle hook tied to the end. If you want to add a leader to this configuration you can, but red drum don’t have teeth so they won’t bite the line off. There is also the popping cork setup where you add a popping cork 18-36 inches above the bait and let the bait hang down. The popping sound is attractive to the fish especially at night or in muddy water. Light to medium-light rods are just fine for inshore fishing. For deeper water, you should use medium-heavy to heavy rods. You can use spinning or baitcasting gear. For inshore fishing, 200 yards of 10 lb. test line will work perfectly. If in deeper waters, use 250 yards of 30 lb. line. Red drum is aggressive and put up a good fight. They use a surprise attack when they strike. Be ready to hold your own against these sporting fish. Since the Acadian Redfish likes deeper waters (200 ft. to 1,000 ft. deep) and lingers at the bottom in rocky formations or clay silty bottoms, the best bet is bottom jigging. They can be found in shallower waters particularly in the winter months. They will hit on almost any bait. 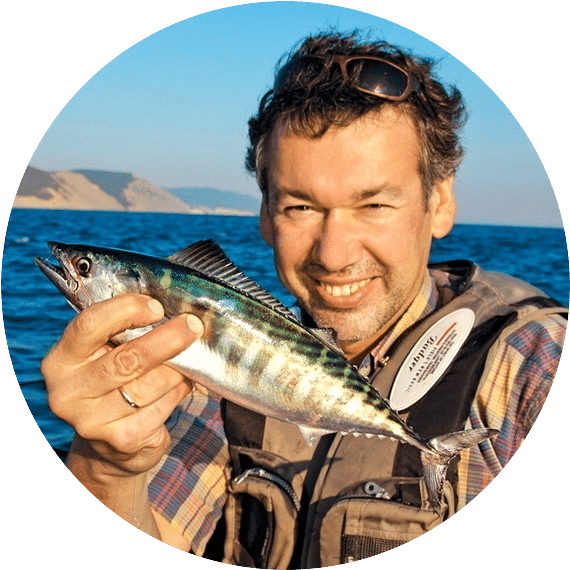 The fight is what most anglers are looking for and this fish does not put up a lot of fight so it is not highly sought after in recreational fishing. This fish is mostly commercially fished, but recreational fishing is also documented. Redfish can be a whole lot of fun catching and a whole lot of good eating. The two predominant redfish for recreational fishing are Red Snapper and Red Drum. Both strike the best on live bait, but dead bait works too, along with some artificial lures. Jigging seems to be the leading way to catch redfish, but it is best to consult locals for what works best and where to find them. In most areas you can hire a charter boat to take you out fishing; it is a great way to get acquainted with how to fish a certain species. If you have a boat, head out and try some of the techniques mentioned here. To make choosing easier, see our reviews of the the best fishing canoe for your reference. Once you’ve caught your limit it’s time for the legendary Friday Night Fish Fry, but in this case, let’s put it on the grill with some of your favorite spices. Invite your friends over and share your stories about the one that got away. That’s what fishing is all about: fun, fish, friends, and folktales! Neal Walker started fishing when he was 4. His father took him to the fishing trips all over USA and Canada. Later he took Angling Education Program at Virginia Department of Game and Inland Fisheries, but most of his knowledge comes from experience. Now he takes his sons with him to share his passion.